Are you frustrated or dissatisfied with your current situation? This week in our LeadersTip we will look at one of the surprising places that vision gets birthed in the life of the leader. You may find it eye-opening! Interestingly, I read this book right after reading an article in Inc. Magazine titled, “Listening to Complainers Is Bad for Your Brain.” Listening to negative comments actually affects your hippocampus, the part of your brain that is involved in problem solving. As one friend said, too much complaining turns your brain to mush. Attitude matters. 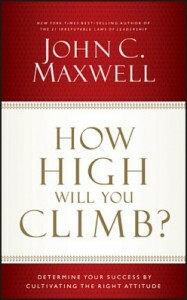 I was particularly struck by Maxwell’s comments on how important attitude is at the beginning of a project: “All’s well that begins well.” I’ve often challenged people to start strong when they are pursuing the goals they have set; I haven’t always made the connection explicitly with choosing our attitude at the same time. I think I’m going to adapt my challenge. I’m still thinking about the underlying theme, that we can choose our attitude. Generally I believe that, but I’m wondering what, if any, limits there are on that. I suspect Victor Frankl would suggest that there aren’t. But I’ve seen many people over the years who seemed to try sincerely to change their attitudes and weren’t able to or didn’t seem to be able to maintain it. Is that they didn’t really try, or was there a limit they really couldn’t get past? What do you think? Any other thoughts on Maxwell’s book? The importance of leaders who are able to encourage their people’s hearts is unequivocal. Few things are more important or more powerful than the ability to do that. A couple of things stood out to me as I read Encouraging the Heart. The first was the idea that the best leaders actually want to be liked. Not caring what others think, including not caring about the opinions of those who follow us, is actually an attitude for losers and leads to less effectiveness. I think that idea is counter-intuitive for most leaders. Often leaders shy away from the idea of wanting to be liked. It seems connected to the idea of pandering or people-pleasing. It implies making decisions to be or become more popular. And in the worst case, that is exactly what it is, often rooted in our own insecurities. However, it doesn’t have to be that way. People will work harder for leaders they like, give them the benefit of the doubt when questions arise, and be more likely to support their new initiatives. Wise, healthy leaders know that and want to be liked. Rather than pursuing that by pandering in some way, they will work at being good leaders—leaders who encourage people to be the best they can be, who hold high standards, give good feedback, and help people succeed. Those kinds of leaders will be liked and reap the benefits of the people’s affections. The other thing that struck me was an old truth—that people don’t follow good leadership techniques, they follow the person. The best leaders know that and focus energy on finding their own voices, so they will be authentic rather than just echoes of someone else. People spot fakes; they can spot people who aren’t real, who aren’t authentic. It’s ironic, really, because many people who want to be effective leaders put a great deal of time and effort into developing their leadership skills. And although I think that’s a good thing, it’s not as important as living our beliefs in ways that others want to emulate. In these times, especially, people are looking for leaders they can respect, trust, and look up to. That doesn’t come from technique; it comes from character and integrity. One way to identify a good leader is by looking at their wake—the trail they leave behind. In this week’s LeadersTip, we’ll take a look at what makes a good “wake” and what doesn’t, and how to straighten it out if we’ve gone crooked. This week we are going to look at one of the most powerful tools we have at our disposal to increase our productivity and reduce our stress. You may be surprised at what it is! Bill George has become one of my favorite leadership-related authors. 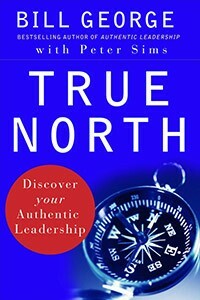 I have yet to read a book of his that wasn’t filled with helpful insights, and True North is no different. That is one of the best summaries I have seen of what to pay attention to in order to be the best leader you can be. Identify what you are really good at and what your deepest motivations are. Then find a role that allows you to express both. When you do, you will be in a place that enables you to be the best leader possible. As I reflect on that, I think the first half of that equation—knowing what we are good at—is the easiest part. Identifying our deepest motivations is much trickier. We often don’t know what those are. I think we often claim to be motivated by things that we think should motivate us rather than what really does. For example, I concluded that I needed to lose weight this year. Over the last few years, I gained over sixty pounds—and I wasn’t exactly underweight to begin with. As I examined what motivated me to lose weight, I felt like I should be motivated by things like being healthier. But the truth is that I was just as motivated—probably more so—by how I looked in the mirror. Embracing that truth allowed me to access my own motivation, which has helped me lose thirty-five pounds so far. I’m convinced that the weight loss wouldn’t have happened if I had focused on what my motive “should have been” rather than what it actually was. Have you found your sweet spot? How did you do it, and what difference has it made for you? Trust is one of the most important qualities you will find in an effective organization or team, but it’s not easy to build. In this week’s LeadersTips, we’ll cover some of the ways you can grow trust within your church, team, or organization. 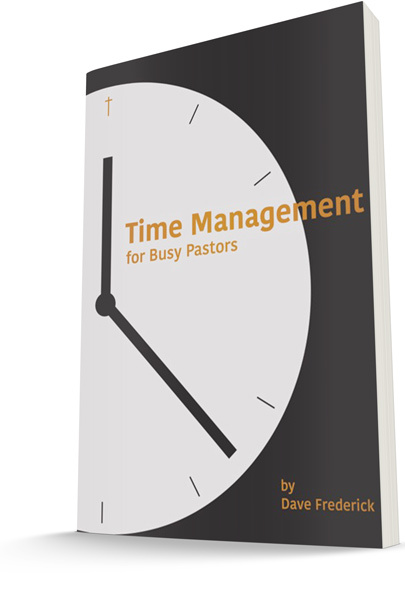 In our next LeadersTip, I’ll be looking at one simple key to maximizing your productivity. Enjoy!